Andy's treasure hunting cafe and metal detecting blog: Some metal detecting odds and ends. 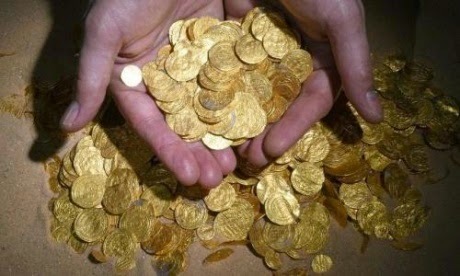 What, I wonder, will divers do if another cache of gold coins is discovered? John, I think exactly the same will happen for fear of the consequences due to state oppression, something quite a few of the twisted archaeobloggers we both know would absolutely love to see going on over here. Thankfully we are allowed freedom and are not completely oppressed by our government and long may it continue.